Are you wondering what the best method is for analyzing and optimizing your process? Do you do rework and use workarounds because information is missing or inaccurate? Do you have multiple ways of doing work where one process would be more efficient and cost- effective? Do you need to streamline your processes and reduce complexity? Is the market demanding you cut costs and be more agile? 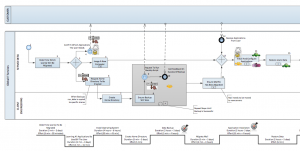 Process modeling can take 6 months and the analysis another 6 months after that. But it doesn’t have to. This course demonstrates a structured approach that gets results faster and more effectively. You will learn how to use three guiding lights to keep you on track and work toward a common goal, how to utilize the skills of a cross-functional team of subject matter experts, and the required techniques to analyze the current process and build an optimized process. This course is oriented for individuals or pairs who will be engaged in modeling, analyzing and improving processes in their organization or as external consultants. Bring your own process to the workshop and I will give you individual coaching. We use a method called Action Learning. You learn the analysis or optimization technique, try it in a case or exercise, and then apply it to your own process. So you get to do real work in the course on your own process. Today, use of software tools is essential for sharing, preserving, and reusing the models and analyses you create, and for aligning business and IT. 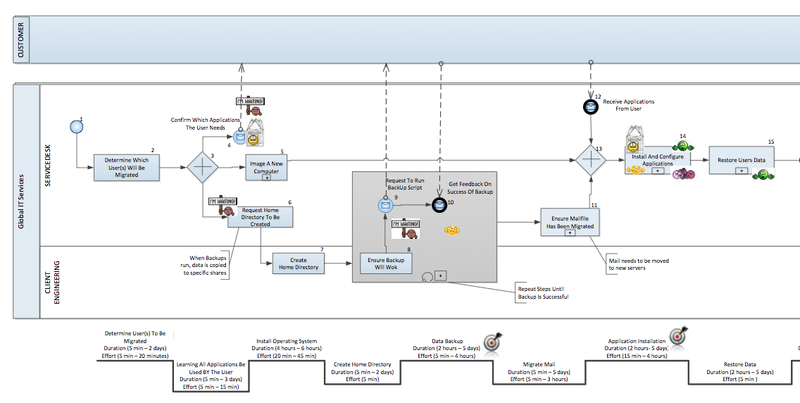 We use a Visio-based BPMN tool (free with the course) with the training and apply the tools and techniques in hands-on exercises in class. The course is conducted via a web browser using the e-learning platform from Adobe Connect, which supports presentation sharing, interactions with other students, work in teams in breakout rooms and personal coaching from me. Hands-on exercises are based on a case and your own application. The media allows a high level of interaction between the instructor and the student as well as among students. Certification builds your professional capability and credibility in your organization. It establishes your skills and competencies in analyzing and optimizing a BPM project – knowing how to use individual instances to model the As Is state, using the ‘required’ analysis techniques, selecting the analysis techniques that are right for your process, and building an optimized To Be process. Certification is part of the BPMessentials training curriculum. BPMessentials certification is their recognition that you have mastered the material. Currently over 500 certified participants are registered on the BPMessential site. Following the class you will have 60 days to complete the certification requirements, demonstrating mastery of the material. Certification involves full participation in the workshop, passing an online exam, and completing an assignment based on real work in your organization. 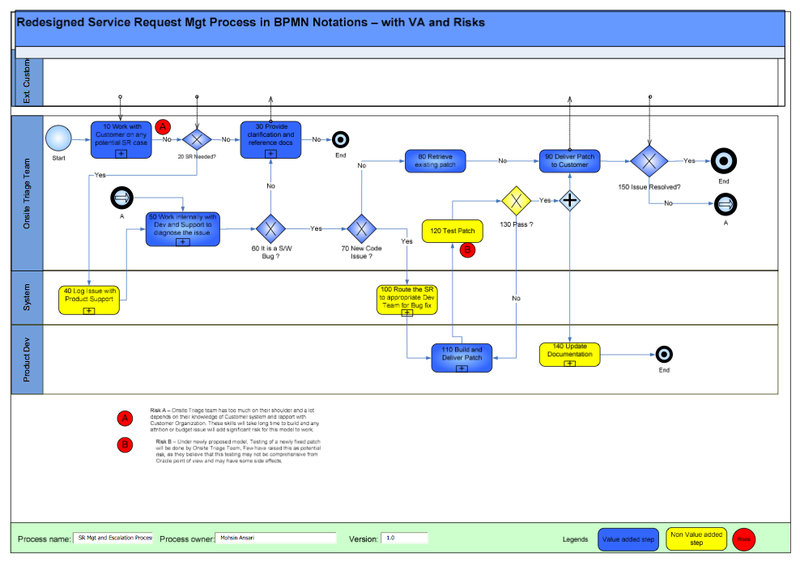 Price: The price of the course is $789 per student (qty 1), and $710 per student (qty 5) which includes certification, application coaching and 60-day use of the BPMN tool.